The FIP’s activities do not stop and in 2018 it has launched its Sponsorship & Communication Programme, and the first company to sign an agreement to join its brand with the world’s government body of our sport was Padelgest International.  Padelgest International is a company from Tarragona, Spain, specialized in the construction of sports facilities, and manufactures different models of padel courts, all with excellent quality and safety characteristics for users. 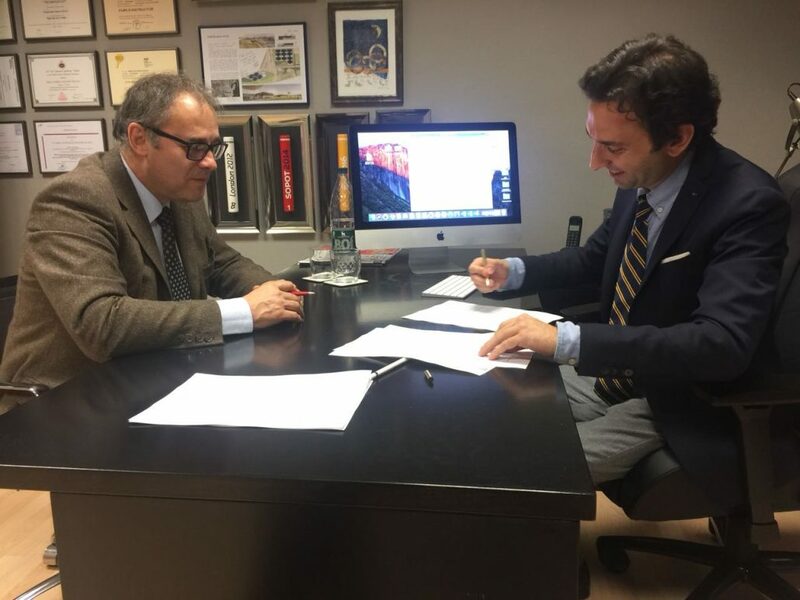 The agreement between the FIP and Padelgest International will allow affiliated Federations and National Associations to obtain particular benefits and interesting conditions, which may be used for Federations’ High Performance Centres or Technical Centres, Championships and Tournaments, or for clubs affiliated to them. 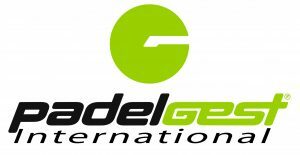 Padelgest International will also promote among its client clubs, that they register and affiliate with the National Federations of each country, and that they can become Recognized Centres to develop official activities. Further information is available in the “sponsors” section and on the Padelgest International website. The National Padel Circuit 2018 of the AAP ( Padel Association of Uruguay ) kicks off and with it the official activity of the uruguayan padel. An agenda of the AAP nourished with 10 Dates for this year 2018 distributed in 3 cities: Maldonado, Treinta y Tres and Paysandú. Of the 10 dates, 6 will be played in the Free Categories, from 1st to 5th. Each one of the Tournaments will distribute 100 points of Classification for the AAP Official Ranking ( being able the last one to distribute 200 ). In the Categories of 1st Female and 1st Male, the points accumulated in the 6 Tournaments will qualify players to the 2018 World Padel Championship, according to the Classification Regulations. In the Free Categories, 3rd, 4th and 5th, all players will begin to add qualifying points to represent Uruguay in the South American Amateur Ladies, Seniors and Free Categories, by National couples, which will take place between November and December. The venue for the first date of this National Circuit 2018 will be the renovated Club Pádel Cristal in Punta del Este and will be held on the weekend of April 13 to 15. It will be very important the participation of the Minors in this first Date since together with the Tournament will take place the 1st National Youth Training of the year, in which all the players will work under a regulation proposed by the coaching staff, and accepted by the AAP, which among its fundamental pillars will take into account certain aspects in order to achieve the greatest benefit for athletes in their full development, bearing in mind that these performances will also be qualifying for the Pan American Youth Championship that will be played this year in Brazil. It should be remembered, for this 2018, the AAP has appointed two coaches who have reached Level 2 of the AAP training at the head of the Technical Management of Minors: the player Mrs. Claudia Fernández, native of Maldonado, who will be seconded by Mr. José Luis Pereyra, native of Rocha. He will continue in his functions, as Youth Delegate, Mr. Fernando Martínez Haedo, who has already developed an excellent work in 2017. It will be another exciting year for the uruguayan national padel, with great dates for both Women´s, Men´s, Youth and Seniors. Again, a great opportunity for the athletes competing in the Official Circuit, full of activity in the country, projecting to different competitions abroad, and where everyone will have the chance to win just a place in the uruguayan padel National Teams , competing healthily, and without forgetting the primary objective promoted by the AAP, which is the practice of sport as an integral part of the health of all those who access physical exercise, as well as motivation and desire to excel in an activity that we are passionate about, through unique and unforgettable experiences. 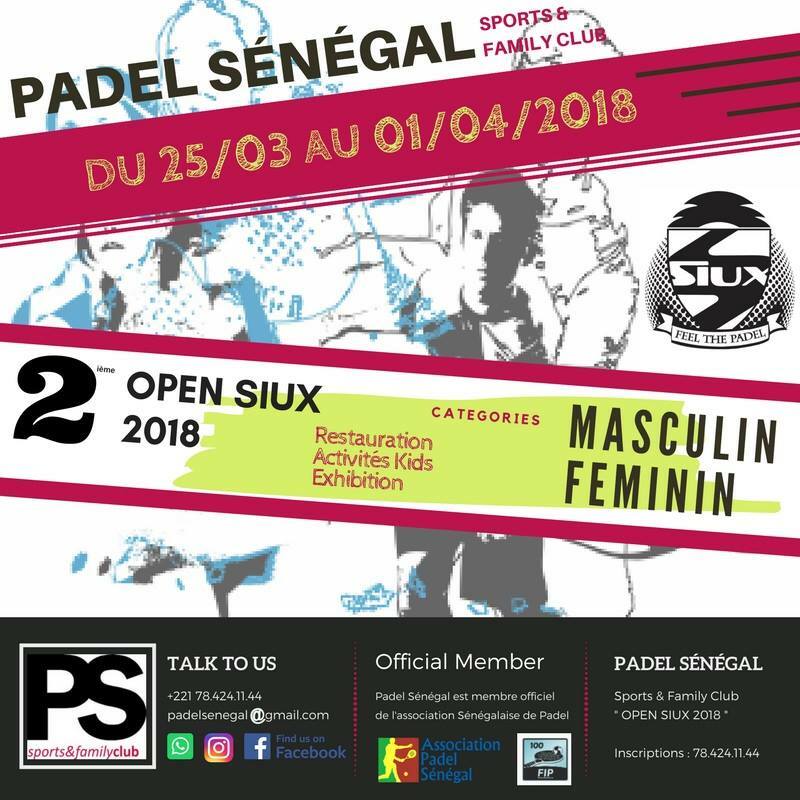 With the dispute of the first Tournament of the history of the FIP in Africa that begins to dispute this next Sunday in Senegal, FIP100 II Open International Padel Siux in Male Category, the activity of FIP Tournaments does not stop even for a moment. From April 10 to 15, Australia, after its first FIP ​​date of 2018 in February, will host its most important tournament of the year, the Sydney Classic, FIP250 in Male Category and FIP100 in Female Category, organized by the APF to be held at the World Padel Club Sydney facilities. From April 20 to 22, organized by COBRAPA, the FIP100 II Tournament Brasileiro 2018 will take place at the Balneario Camboriú in the state of Santa Catalina, putting a point and followed to the first date of the season that was played at the end of February in Bento Gonçalves. On the weekend of May 5th and 6th a new British Circuit Tournament will be held, included in the Official FIP 2018 Calendar, the FIP100 British Padel Tour Gold 2018 at the Prested Padel Club, Colchester, Essex, organized by British Padel. From May 14 to 19, the first FIP500 of the 2018 season arrives. Organized by the Paddle FIT, the Circolo del Foro Italico in Rome will host the ninth edition of one of the classic events within the european panorama, the FIP500 IX Trofeo Foro Italico. From May 24 to 27, the Raqueta Bosques Club of Mexico DF will live a new FIP100 Tournament in Mexico, the FIP100 Raqueta Bosques Open 2018 which will be the fourth Tournament of the year organized by FEMEPA after the one held at Club Berimbau, Lomas Sporting Club and Club Libanés. Another of the unmissable events of this year 2018 will be the fourth edition of one of the Tournaments marked in red on the scene of the european padel, the FIP500 IV Tibeflex Open 2018. Padel Belgium will organize on the dates of May 25 to 27, this Tournament FIP500 to be played on the courts of the Padel4U2 club in Ghent, capital of the belgian province of East Flanders. Next will be the FIP250 Alkmaar in Male Category that will be held in The Netherlands from June 1 to 3 at the headquarters of the TPC Daalmeer club organized by NPB. And from June 8 to 10, the third Brazilian Tournament included in the FIP 2018 Calendar, FIP100 III Torneo Brasileiro 2018 in Curitiba, capital of the state of Paraná. So far the most immediate in the FIP Tournament Calendar. A frenetic activity around the world that will have its continuation in the following months with the Qualifying Rounds for the XIV World Padel Championships 2018 in both Male and Female Category, new FIP Tournaments in The Netherlands, United States, Germany, Australia, Lithuania, Brazil , Switzerland, Italy, Mexico, Great Britain and Portugal and the celebration of the XIV World Padel Championships Paraguay 2018 from October 28 to November 4 in Asunción. The activity of FIP Tournaments does not stop, the excitement is served! If last February 6 was a day that went down in history after announcing the first National Padel Association of the African continent that was integrated as an Associate Member to the FIP, the week of March 25 to April 1 will also go to the history for the celebration of the first FIP ​​Tournament on African soil, the FIP100 II Open International Padel Siux organized by the Association Padel Sénégal. The padel came to Senegal in 2015 in the coastal town of Saly under the impulse of Mr. Jordi Rovira and his PS Sports & Family Club. In a short time the sport of padel has been increasing in number of practitioners seducing very quickly the population and creating a movement that does not stop growing daily. Association Padel Sénégal, our 35th Associate Member, was created in 2017 with the aim of promoting, developing and organizing padel in Senegal. An important mission to promote the practice of padel among the population and bring Senegal to the forefront of the padel sports scene in Africa thanks to the work carried out from its headquarters located in the city of Saly. Currently 4 clubs are affiliated with the Association Padel Sénégal: the Olympic Club in Dakar, La Palmeraie Sporting Club in Nguerigne, Padel Club Nagaparou in Ngaparou and PS Sports & Family Club in Saly, club venue of the first FIP ​​Tournament to be held in the continent African, the FIP100 II Open International Padel Siux. In the edition of last year, players from 9 different nationalities participated, Spain, Lebanon, Great Britain, Argentina, Italy, France, Benin, Slovenia and Senegal, serving as a starting point for future tournaments and events. In this edition it is expected to exceed the number of registered last year. In addition, during the tournament there will be exhibitions and there will be activities for children. The first FIP ​​Tournament in Africa is already a reality. Everything is prepared in Saly to enjoy a Tournament that will enter with capital letters in history. 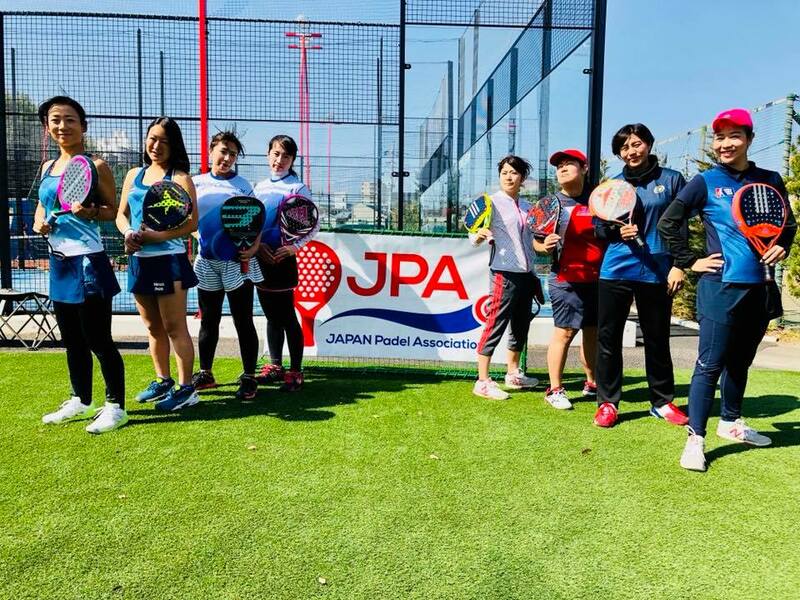 During the weekend of March 3 and 4, in Female Category, and March 10 and 11 in Male Category, the historic event of the FIP100 1st Japan Padel Open was held, the first FIP ​​Tournament in the history of Japan, organized by the JPA ( Japan Padel Association ). The first week was the turn for women´s. In the facilities of Padel Tokyo and Zenpukuji Tennis Club and with beautiful spring days in Tokyo, 14 registered couples fought on the slopes at a very good level. Due to the relevance of the JPA Tournament, individual commemorative plaques were prepared that were given to both the players who participated in the Tournament. In Female Category, the Semifinals were played by Fujiki Ayano / Miki Chinen 6-1 6-2 vs. Risa Ohta / Kuniko Takeguchi and Takita Mizuki / Sayaka Yoshimoto 6-0 6-0 vs Haruna Misago / Kozue Nakashima. Couples number 1 and 2 of the JPA ranking did not give rise to surprise and were planted in the Grand Final on Sunday. In an intense match Ayano / Chinen were proclaimed Champions of the FIP100 1st Japan Padel Open defeating 6-2 6-4 to Mizuki / Yoshimoto. The prize for the champions was a crystal trophy, with a special appointment “Champions of the 1st FIP100 Tournament”. In the second week it was the turn of the Male Category at the headquarters of Tokorozawa Padel Club. With a first day of high humidity in the city of Tokorozawa, located 30 km from Tokyo, 16 couples made their appearance in search of the title showing their good level of padel. Even several players and many fans from the city of Osaka, located at a distance of 500 km, traveled to Tokyo for the celebration of this historic event. In Semifinals, leaving behind the humidity of the previous day and with a sunny atmosphere, Tomoaki Murasawa / Eiichiro Okuyama won 6-4 6-3 to the couple Hiroki Takagi / Yuhei Kawabata and Asier Martinez / Daisuke Shoyama won 6-2 6-2 a Kazuki Tomita / Yutaka Takano. The Grand Final was the expected by all, two couples who are above the japanese ranking and who increasingly enjoy the monitoring and esteem by Japanese fans. It was a high level match, with plays that delighted fans who came to the club to watch the Final. The pair conformed by veteran, youth, power and patience, Martinez / Shoyama were proclaimed Champions of the FIP100 1st Japan Padel Open after beating 6-3 6-4 to Murasawa / Okuyama. This historic first FIP ​​Tournament in Japan closes. A great success of organization and participation, with great emotion and very good matches that made enjoy the hundreds of fans who arrived from Osaka, Nara, Nagoya and other points of Japan, even from Spain, to encourage their favorite players in all the tournament. This is just beginning and we will continue to encourage the padel from the country of the rising sun. Congratulations JPA! After the sad loss of Javier Maquirriain last week, this Monday left us another legendary player, Roger “Pequeño” Quintin died at the age of 62 years. Born in Venezuela, of french father and spanish mother, for many years he lived in Mar del Plata, Argentina, until recently that he moved to France to receive medical treatment due to illness. Coming from a family of excellent athletes, brothers and father, Roger “Pequeño” Quintin had innate qualities that made him stand out in sports, such as swimming, where he was amazed by his talent and style. He also excelled in tennis with a relevant career as a player in the Club Náutico Mar del Plata, participating in both national and international tournaments, including Roland Garros qualifying rounds. At the beginning of the 1980´s, a real social phenomenon began in Argentina that gave rise to the current development and implementation of padel. “Pequeño” was one of those first players who attracted attention because of his game on the court. At a time when there were still no teachers or coaches, you could only learn by watching the bests and Roger Quintin was one of the first professional padel players who stood out for his technique, tactics and delivery on the court. Everyone watched and learned from a “Pequeño” that became a reference for subsequent players. He was a pioneer, an idol for everybody. He started playing with Enrique Espinosa, Fredy Safourett and Rodolfo Usuna. He formed a very successful couple with young Franco De Paoli and already entering the first stage of professionalism shared triumphs with Leonardo Cattáneo, Severino Iezzi and with Alberto Pizzolo formed an emblematic couple that marked a before and after in the history of padel. “Pequeño” and Pizzolo represented in several tournaments the Play Time complex, thus becoming the first professional players to receive money for wearing the club’s logo on their sports equipment and have a well-known coach, Federico Maidana, available on the physical side. Roger Quintin and Alberto Pizzolo reached in 1989 the maximum splendor when proclaiming themselves champions in the Final of the National Tournament beating Alejandro Lasaigues and Horacio Álvarez Clementi, in what became a classic confrontation of the 80´s. They also had a prominent participation in the first editions of the Hispano Argentino Tournament. 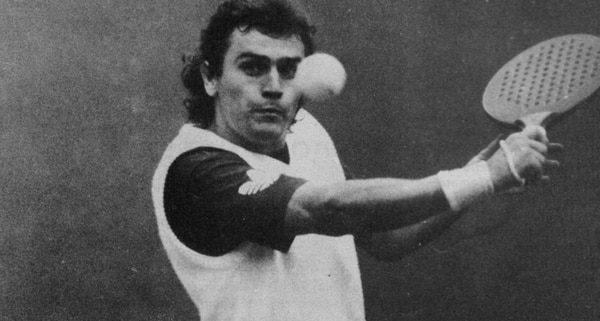 Roger “Pequeño” Quintin played too with Ricardo Cano, Gustavo Fernández, Luis Pozzoni, Gustavo Aguirre and Alfredo Bidabehere, his last professional partner until his retirement in 1990. With his charismatic personality, “Pequeño” quickly realized that the sport of padel was beginning to be a good show, of quality, which attracted a significant number of public and that manufacturers of padel rackets and courts, event organizers and clothing sports companies would begin to benefit sooner or later from the social phenomenon of padel. He became the first driver of professional padel. From the International Padel Federation, we express our sincere condolences to the family and friends of Roger Quintin. “Pequeño” until always. 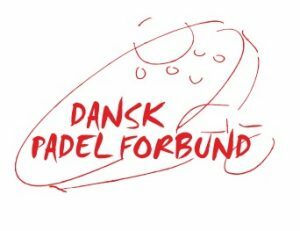 We officially acknowledge the change in the position of the President of the Dansk Padel Forbund ( DPF ), our Associate Member for Denmark. Welcome Mr. Christian Nybroe as new President of the Dansk Padel Forbund. We would like to give to you the warmest welcome to our institution in your new position, and we are sure that we will continue our very good cooperation, as it was with Mr. Álvaro Maldonado during his Presidency, and to whom we thank and send our big thank you! We also know that Mr. Álvaro, as the former Secretary Ms. Paulina, will continue to support you, the DPF and the padel activity in Denmark with their work in the Board. The former Danish President confirm his commitment and the changes in the DPF Board’s positions. So it is a great pleasure to have such behaviour from Mr. Maldonado. We look forward to continue working together for a positive and organized development of padel in Denmark and throughout the world. 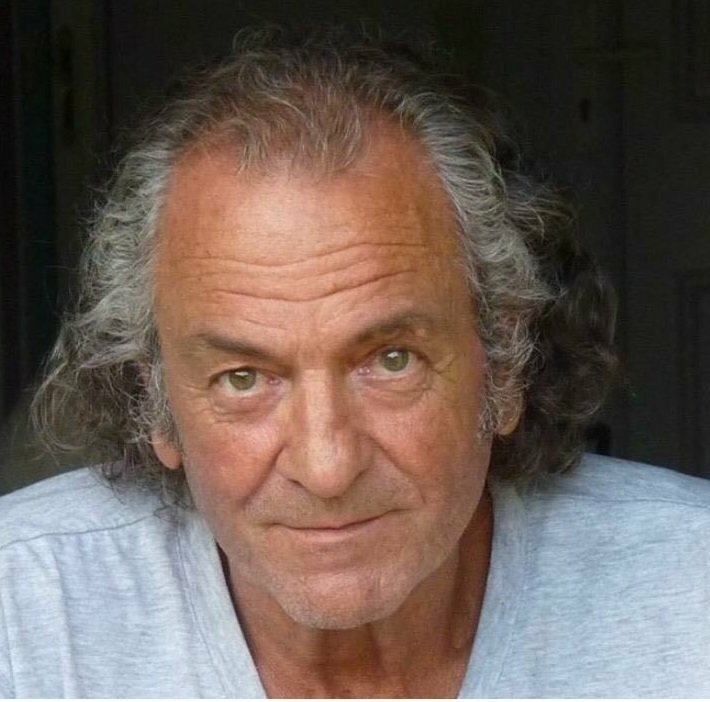 This past dawn we have known the sad news of the death of a legend of the world padel, Javier Maquirriain, who for a few months fought hard against a brain disease. 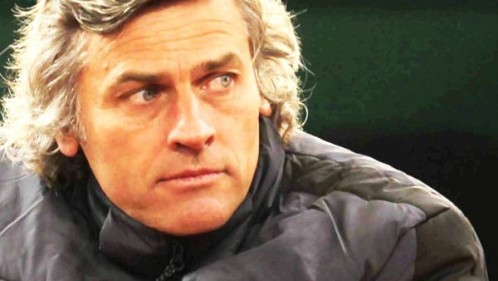 To speak of Javier Maquirriain is to do it with passion for life and for sport. His beginnings in the world of racket were with the tennis, highlighting in categories of minors and playing at the Club Bartolomé Miter and Belgrano Athletic, where he came to compete in the highest category at the professional level. In the decade of the late 80´s and early 90´s, an era in which padel became a real social phenomenon in Argentina, he formed tandem with his brother Gustavo becoming one of the best couples in the country and becoming numbers 1. Later he formed a partnership with Pablo Rovaletti, with whom he was proclaimed World Runner-up in the first edition of the World Padel Championship 1992 held in Madrid-Seville. Consecrated in the great elite of the padel, Javier Maquirriain was one of the players who participated in the first international matches between Argentina and Spain, friendly matches that served for the subsequent great development of the padel worldwide. On January 25, 1993 along with three other legendary players, Roby Gattiker, Alejandro Sanz and Alejandro Lasaigues, starred in the well-remembered “Match of History” at the Super Dome of Mar del Plata. A game that caused an expectation never seen before in a venue to enjoy the best padel players of the time. In 1994 he retired from professional padel although he remained linked to the world of sports. Specialist in Sports Medicine and Traumatology, became a reference for athletes with knee and shoulder problems. He was President of the Nixus Foundation, entity to promote scientific research in Sports Medicine, Traumatology, Epidemiology and other related sciences and became the official doctor of the argentine Davis Cup team since 1996. From the International Padel Federation we want to express our deepest condolences to the family and friends of Javier Maquirriain. Left us a padel legend and a great passionate about life and sports. Maqui, rest in peace. The race to the XIV World Padel Championships 2018 has already begun. The great event of the world of padel will take place in the city of Asuncion, capital of Paraguay, and will be held between October and November 2018. The National Male and Female Teams that occupy the first 9 positions of the official FIP ranking by National Teams are already classified, together with the host country Paraguay. As we mentioned in previous communications, there will be a Qualifying Round where the six remaining places will be defined that will give access to the XIV World Padel Championships 2018. Next we indicate the list of the National Teams pre-registered to the Qualifying Round as of today and that will fight to be present in the XIV World Padel Championship 2018. We will send the definition system proposals for the Qualifying Round to the XIV World Padel Championship 2018 as soon as possible. 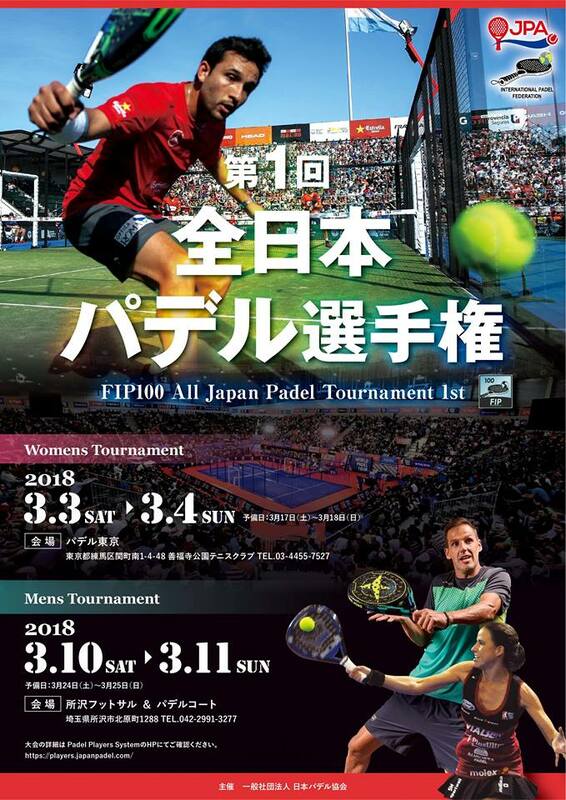 On March 3 and 4 at Padel Tokyo & Zenpukuji Tennis Club and on March 10 and 11 at Tokorozawa Padel Club, a FIP Tournament in Japan will be held for the first time, the FIP100 1st Japan Padel Open, included in the Official FIP 2018 Calendar . 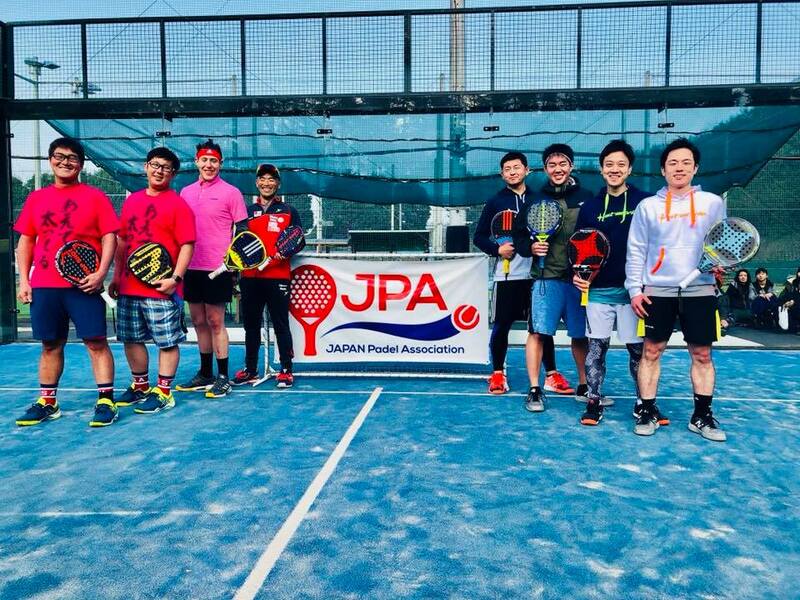 Since the establishment of the Japan Padel Association in 2016, one of the goals of the JPA and its President Mr. Koji Nakatsuka was to organize a National Circuit in all the japanese clubs and an International Tournament. And both have been achieved, today there are already 140 players registered for the JPA, 90 male and 50 female, who regularly compete in the National Circuit, and with the dispute of this FIP100 1st Japan Padel Opent the first International Tournament will be held on japanese soil. These Tournaments have been giving a push at a competitive level and the trend is positive as players practice more than once a week and follow the professional games through the networks. Thanks also to the National Circuit has increased the interest of new companies and sponsors, as for example the most important TV channel in Japan TBS that regularly offers online padel matches or the Mitsubishi group that recently has given great recognition to the sport of padel. This also aroused interest in training and the JPA is working on the educational aspect to increase the level of instructors and players for a good development of the padel and continue to grow at all levels. All for the passion to padel that awakens many expectations and dreams of many. This FIP100 1st Japan Padel Open will be played on two consecutive weekends. On March 3 and 4 the Female Competition will be played and on March 10 and 11 it will be the turn of the Male Competition. To give a “special flavor” to the first FIP100 Tournament in Japan, it is synchronized with the National Circuit as a Master, with the first 32 men´s players and 28 women´s players in the ranking who choose to play this FIP100. Exciting matches are expected, both in the Female and Male Tournament, since the best JPA ranking players will be present who obtained the best scores of the 15 national tournaments held throughout the last season 2017. The favorites in Female Category are Sakaya / Mizuki, Miki / Ayano, Kozue / Haruna and Kuniko / Risa. These four couples each have a won championship and will fight for the FIP100 along with 20 other players. In the Male Category, Eichiro / Tomoaki, Yutaka / Kazuki, Asier / Daisuke and Yuhei / Hiroki top the list of favorites for the title. But nothing is defined, in a few weeks we will know who are the winners of this historic first FIP ​​Tournament in Japan organized by the JPA.